Medical studies at Université de Montréal, Neurology training at McGill University, Research Fellowship at Prof. Theodore L. Sourkes laboratory, Allen Memorial Institute, Montreal. Clinical investigator and staff neurologist at the Montreal Neurological Hospital and Institute (1976-1986), Director of the McGill Centre for Studies in Aging (1986-1996), Senior Scientist of the CIHR-Rx&D program (1997-2007). 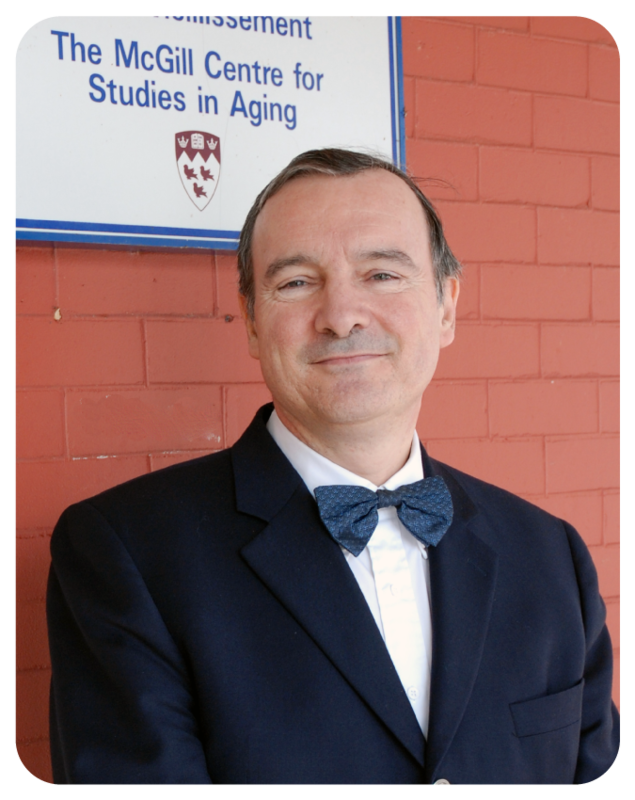 Currently Professor in the Departments of Neurology & Neurosurgery, Psychiatry, Medicine, at McGill University, and Director of the Alzheimer Disease and Related Disorders Research Unit of the McGill University Research Centre for Studies in Aging, Douglas Mental Health University Institute. Contributions to research include design and implementation of randomized clinical trials in order to establish the safety and efficacy of cholinesterase inhibitors, muscarinic agonists, and agents possibly modifying progression for Alzheimer’s disease and vascular dementia. Special interests include consensus approach to the management of dementia in different stages, the ethics of research involving persons with dementia, and primary prevention strategies against cognitive decline and dementia.